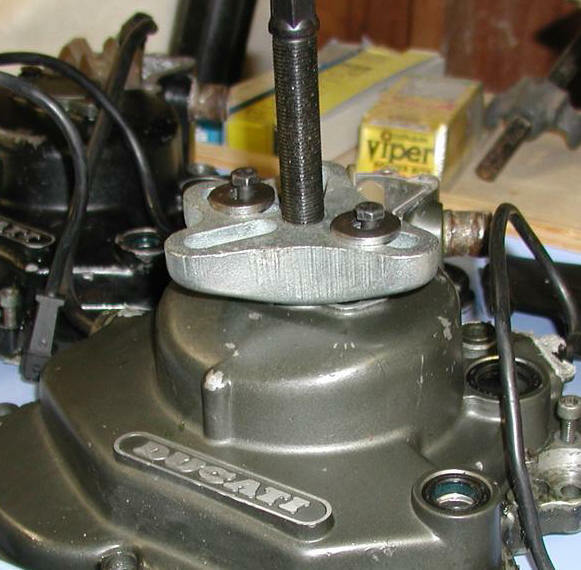 Use a puller to ease the cover off the left side of the engine. These pullers are relatively cheap, about $10, from most automotive stores. You will need a couple of metric bolts. 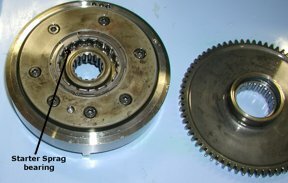 I made some home made clutch tools out of a set of used clutch plates. 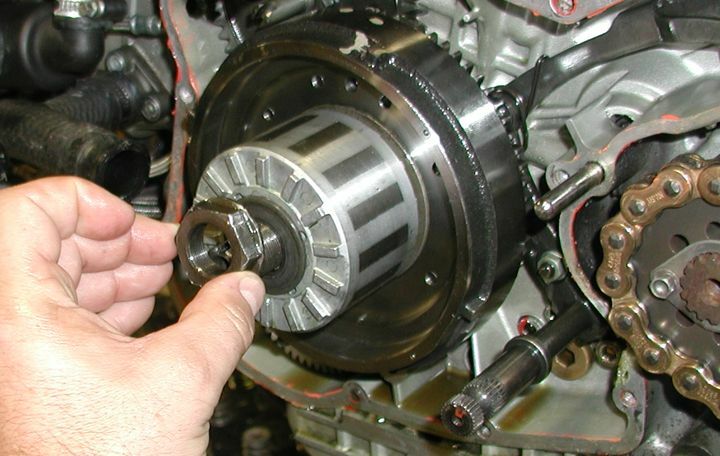 This is the easiest method of holding the crank still while undoing the flywheel nut. The Flywheel nut loosens ANTI-CLOCKWISE. 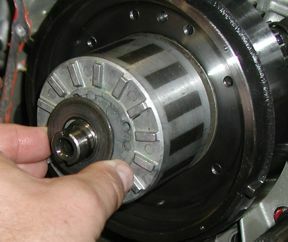 Behind the flywheel nut is a conical/domed washer. The high point of the dome, i.e. 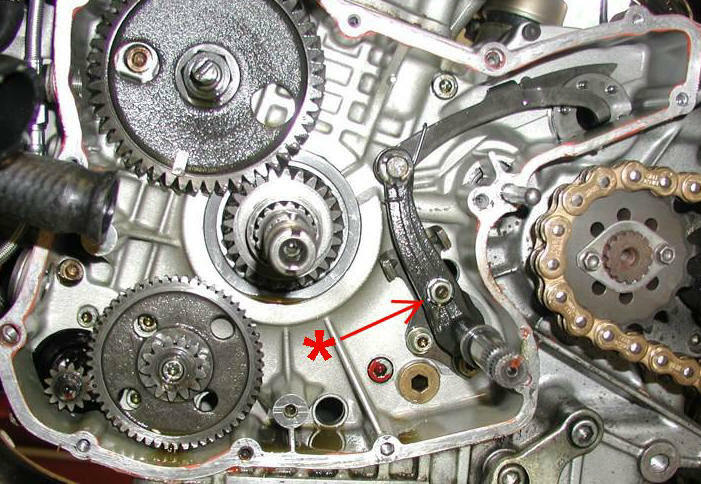 the center hole, should be away from the center of the engine. 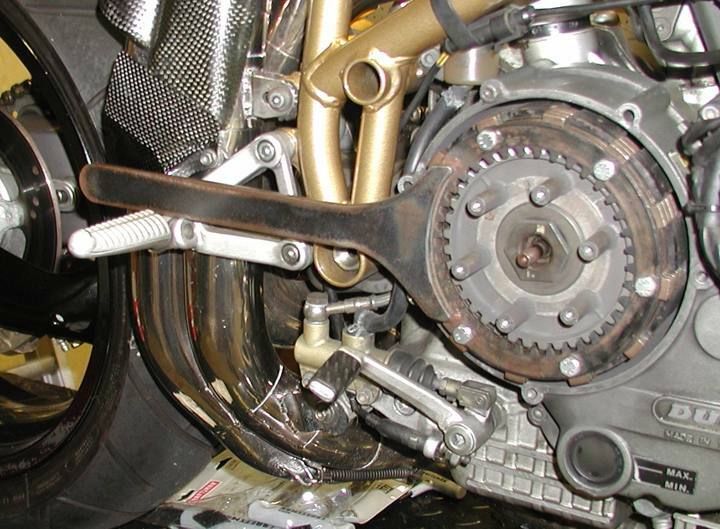 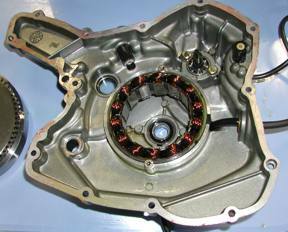 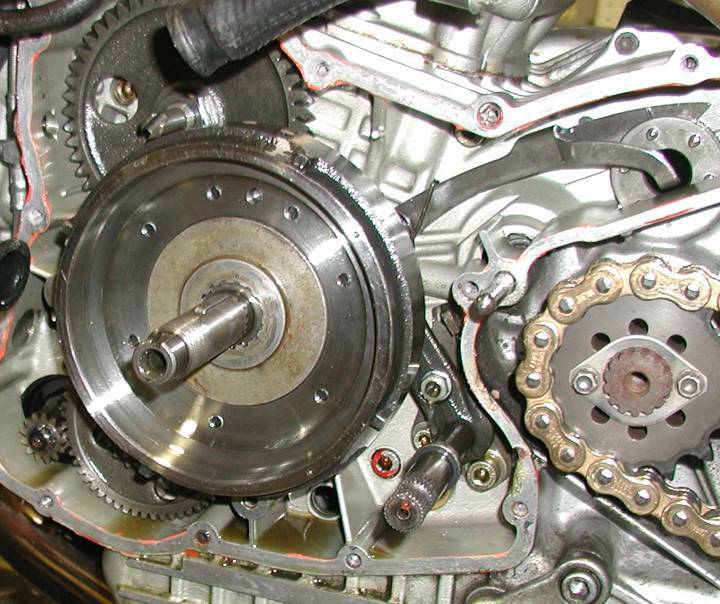 The rotor magnet must be installed with the Ducati stamp and part number towards the center of the engine. 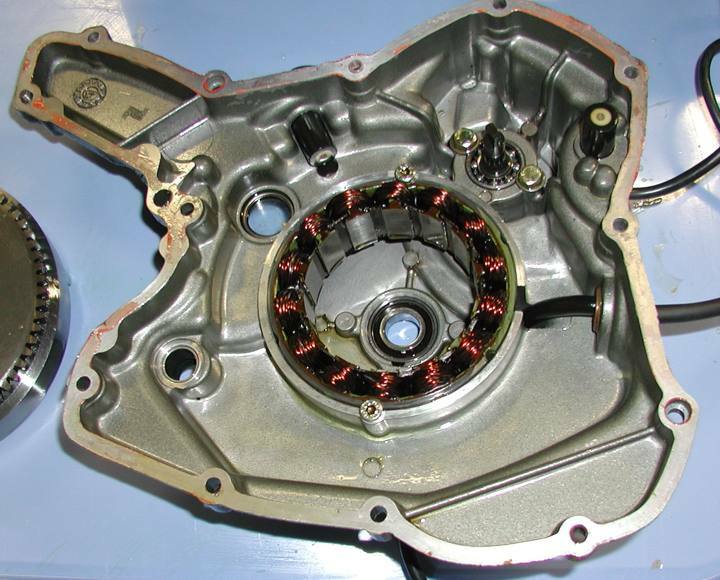 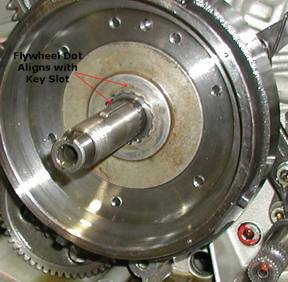 When the flywheel is installed on the crankshaft, the punched dot on the flywheel aligns with the key slot on the crankshaft. 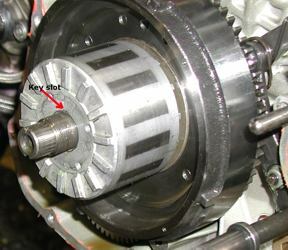 The flywheel and starter gear usually pull off together. 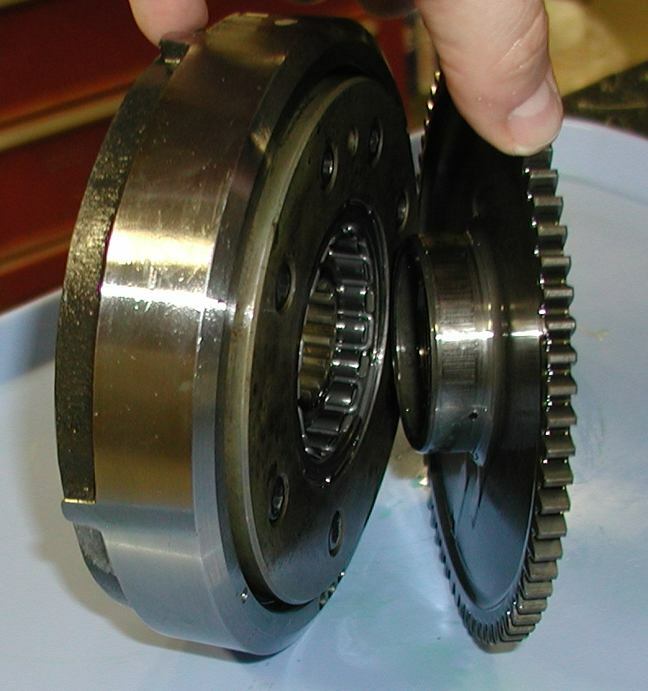 To get at the starter sprag clutch the starter gear pulls off the back of the flywheel. 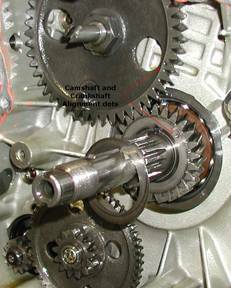 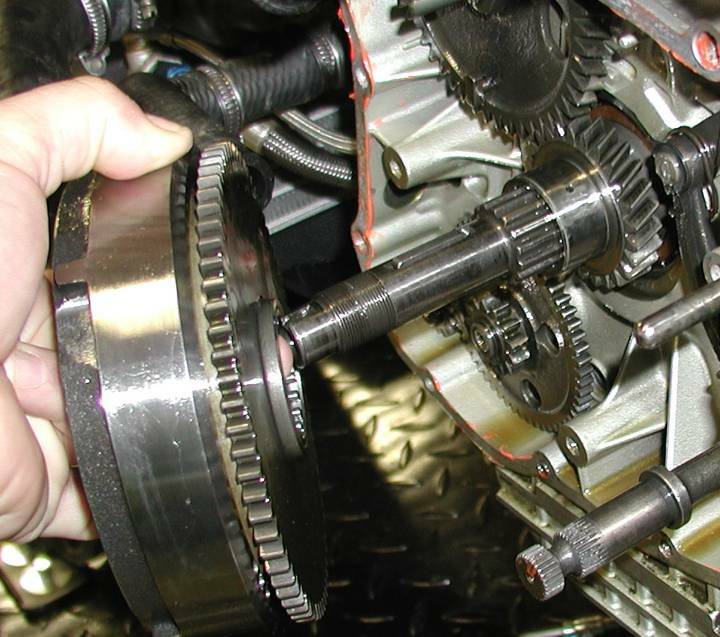 With the flywheel and the starter gear off it is possible to see the dots on the crank gear and the camshaft gear. When the crank is turned these should align. The picture left picture shows the starter motor gear in the bottom left corner, which drives an idler gear which in turn spins the starter gear and engages the flywheel via the starter sprag bearing which turns the motor over. 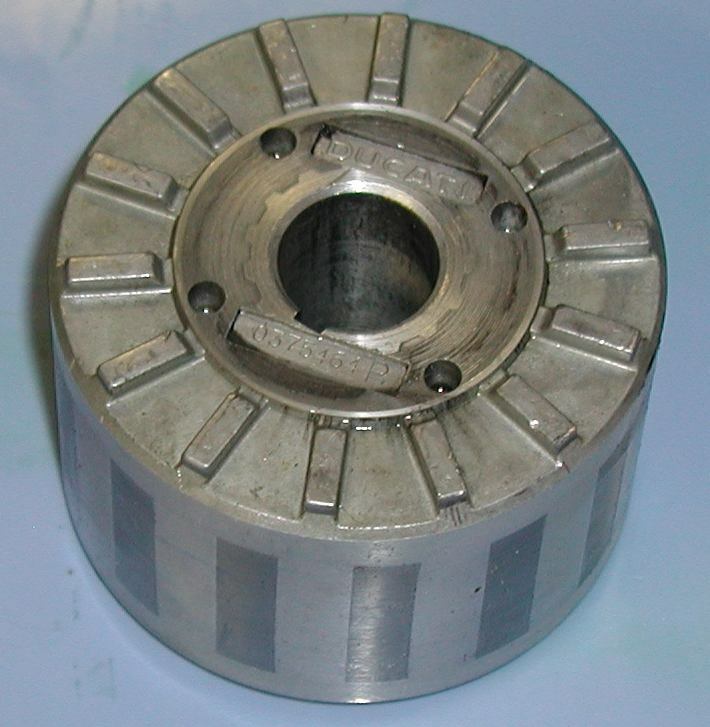 * Note: When tightening the flywheel nut, place a piece of soft metal, i.e. a penny, between the teeth (indicated by the arrow) on the starter pinion and idler gear, to stop the crankshaft turning. 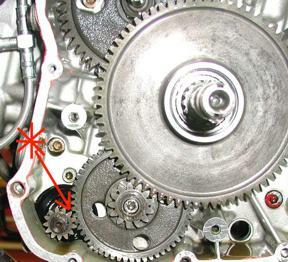 The two photos above show the gear change mechanism.